Interesting Facts About Pigs | Do You Know? 3. A sow can give birth to a litter containing 7 to 12 piglets, about twice a year. 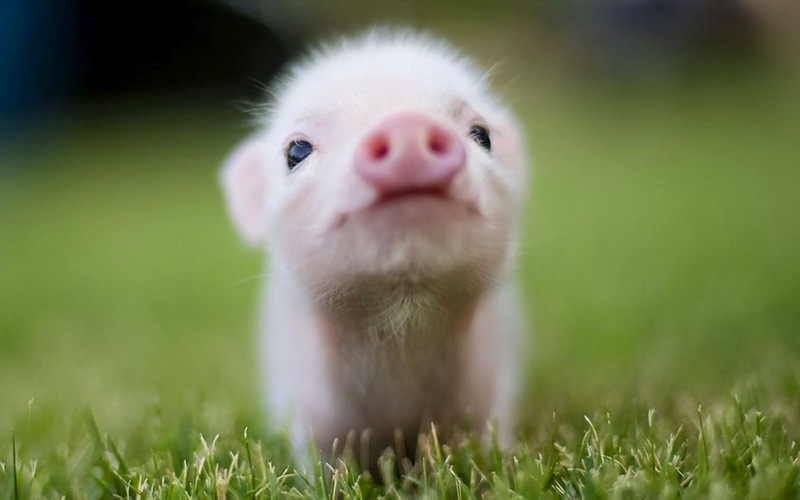 A baby pig, or piglet, weighs about 1.5 kilograms at birth and will double its weight in just 7 days. 4. Pigs are much more tolerant of cold than heat. Pigs have no sweat glands, so they can't sweat. They roll around in the mud to cool their skin. The layer of dried mud protects their skin from the sun. 5. Pigs have a great sense of smell. Their powerful but sensitive snout is a highly developed sense organ. 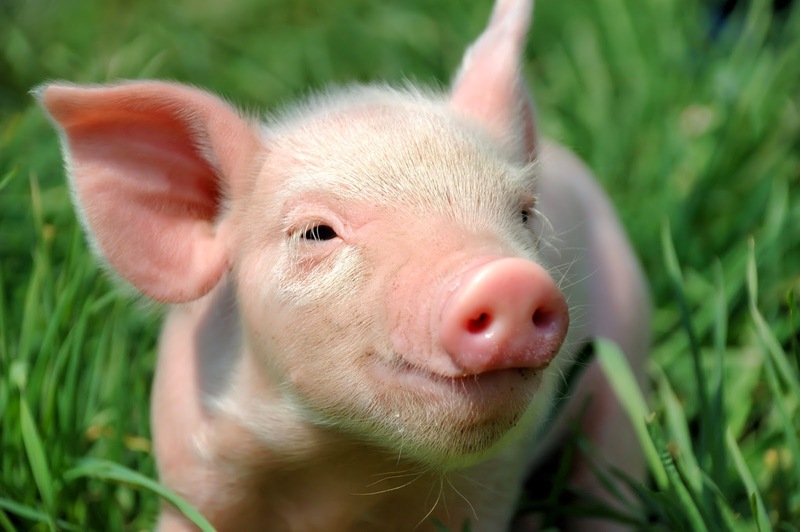 Pigs also have a great field of vision, because their eyes are on the sides of their heads. Pigs Enjoy Close Contacts !! 6. Pigs originated from Eurasian Wild boars. 7. Pigs are very social animals. They form close bonds with each other and other species. 8. 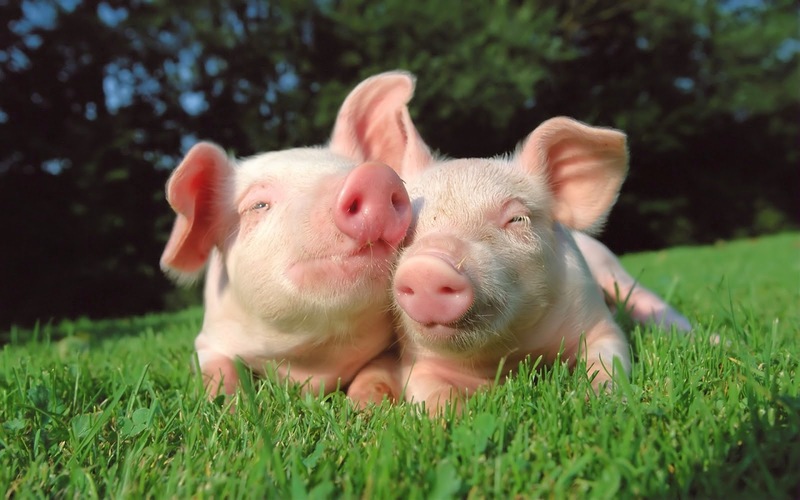 Pigs enjoy close contact and will lie close together when resting. Pigs use their grunts to communicate with each other. 9. Pigs are very clean animals. They keep their toilets far from their living or eating area. Even piglets only a few hours old will leave the nest to relieve themselves. 10. Domestic pigs are rarely aggressive. The only exceptions are sows with a young litter and boars if provoked. 11. A mature pig has 44 teeth. Pigs have four toes on each hoof, but only walk on two toes per foot. 12. Some pigs have straight and some have curly tails. 13. There are some records of pigs eating their own piglets! 14. Pigs snuggle close to one another and prefer to sleep nose to nose. They dream, much as humans do. 15. Pigs appear to have a good sense of direction and have found their way home over great distances. Adult pigs can run at speeds of up to 11 miles an hour. 17. Newborn piglets learn to run to their mothers’ voices and to recognize their own names. Mother pigs sing to their young while nursing. 18. Pigs do not “eat like pigs” or “pig out.” They prefer to eat slowly and savor their food. 19. There are around 2 billion pigs in the world. 20. Pigs can pass on a variety of diseases to humans.